The idea for this model diorama sprang from the acquisition of one of George W. Cearley's wonderful books - namely 'A Pictorial History of Airline Service at Atlanta'. 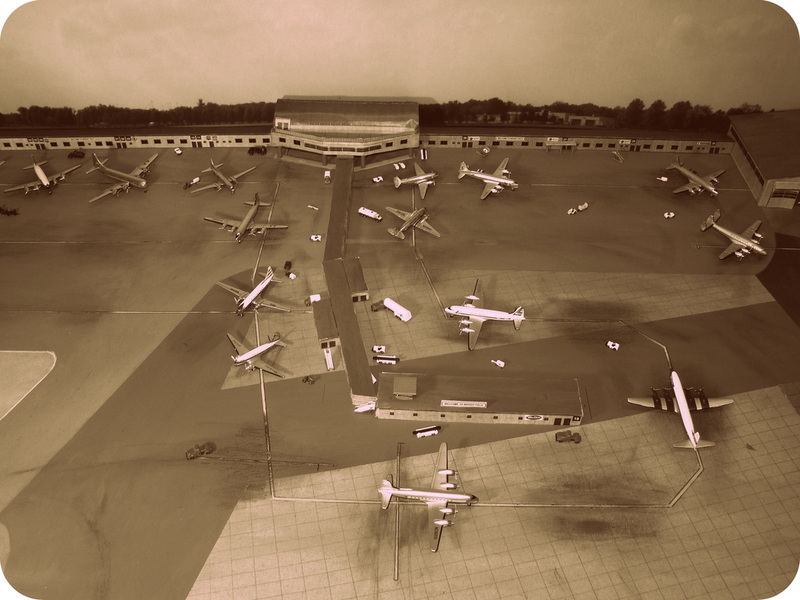 Cearley's books are always amazing - chocked full of detailed information and black and white photos. 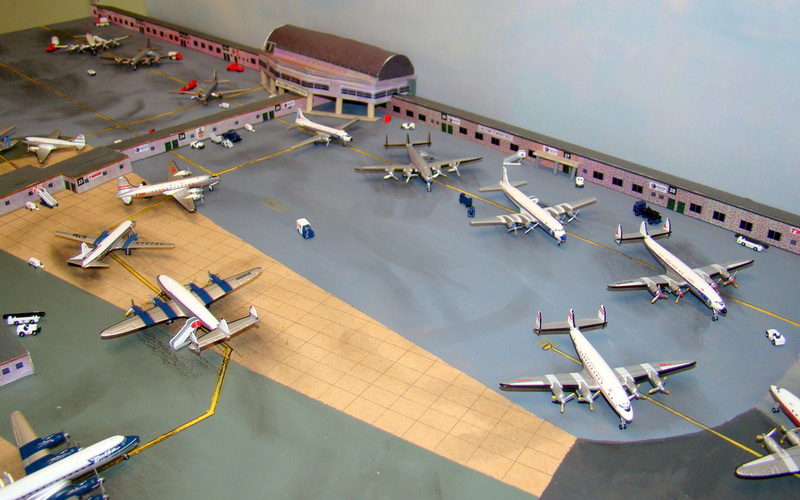 Atlanta itself is an airport which has always caught my imagination because of its size and dual hub status (Delta and Eastern originally). 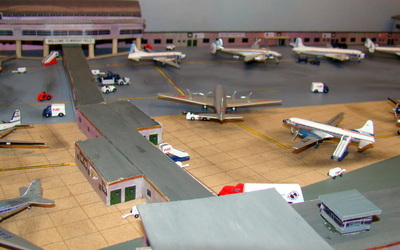 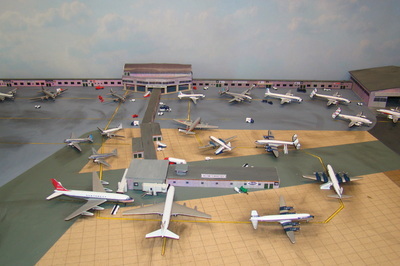 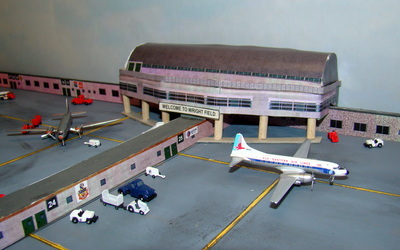 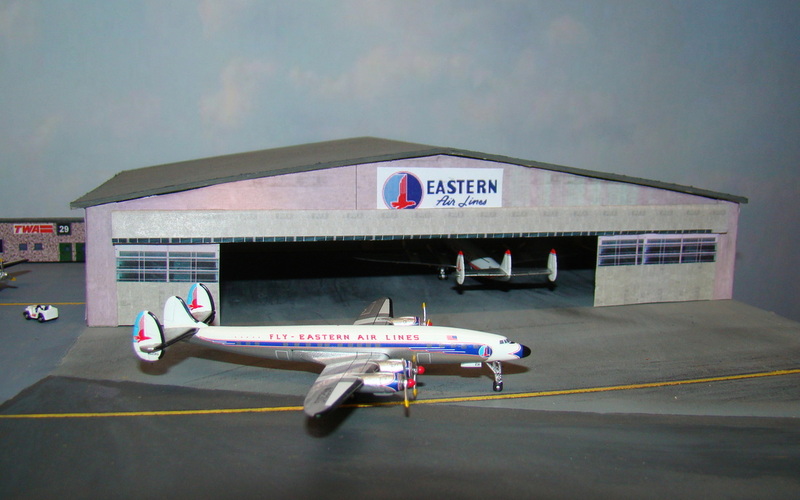 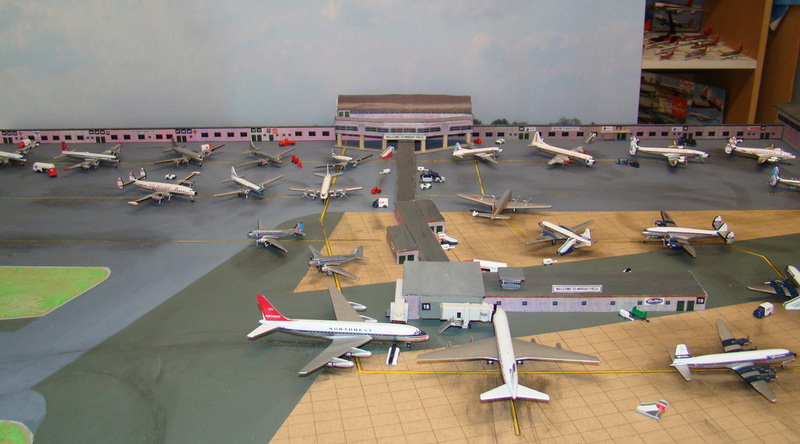 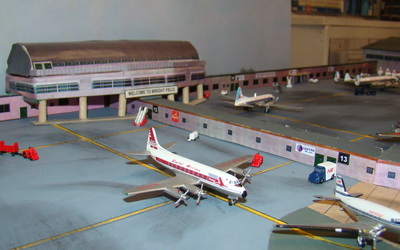 My 1960s Dowse National diorama is great but it is hard for it to pass for a 1950s airport even when the airbridges are removed. 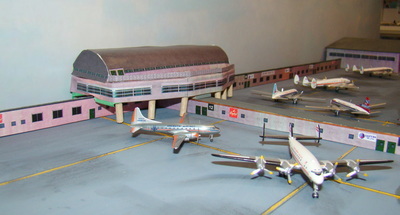 Within Cearley's book a series of amazing photos of Atlanta in the late 1950s caught my attention and led me to decide to try an Atlanta inspired 1950s airport model. Atlanta itself has been really 4 different airports all built adjacent to each other. 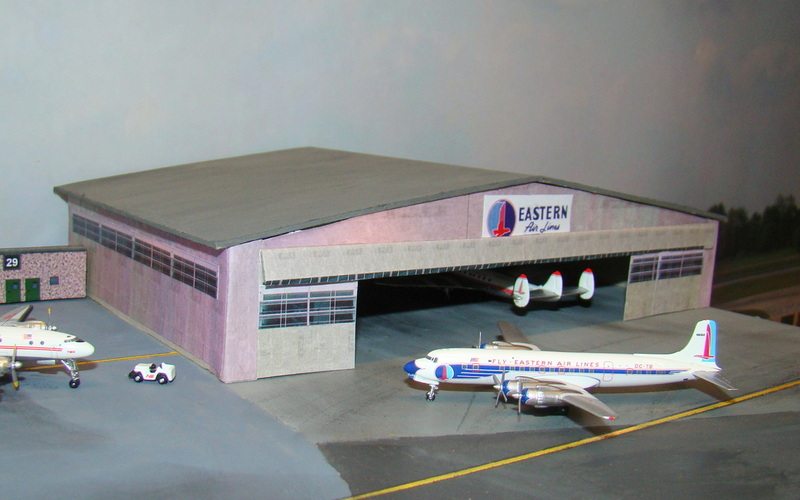 The original was replaced in 1948 by a temporary terminal called the Quonset hut and in the 50s the ramp space was massively expanded with two oddly shaped piers. 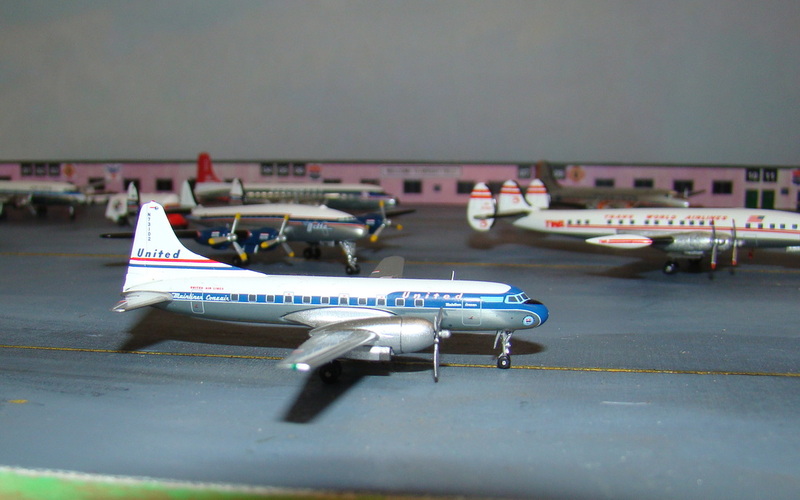 In 1959 they even gained a pair of early airbridged gates for Delta's new DC-8s. This facility was replaced in 1961 by a new facility which itself would make a lovely (and large) model. That airport was outgrown within a decade and in 1980 the current facility opened with its famous and trendsetting parallel piers. Anyway it is the Quonset 1948-1961 airport I wanted to emulate, though with a space of only 4x2 (120x60cm) I had to modify the layout and make it quite a bit smaller. 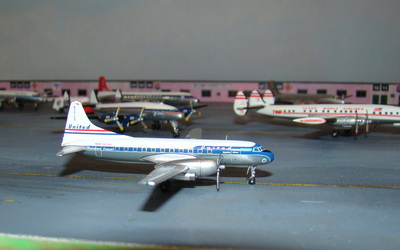 Propliners were parked insanely close together by modern standards, often blocking each other in their gates especially when double lines of aircraft were parked. 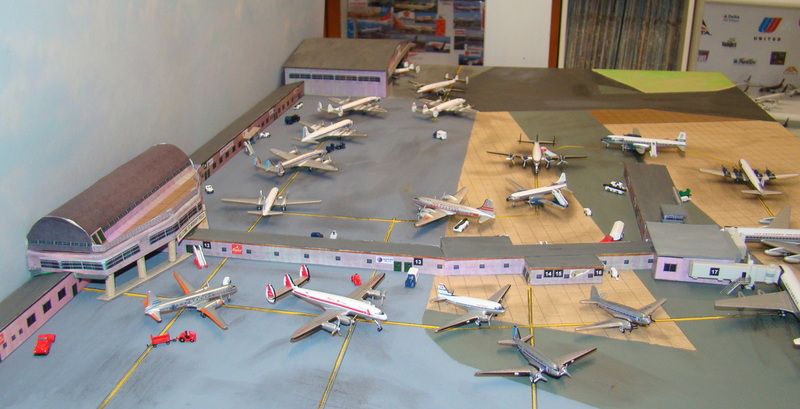 This was standard behaviour and not unusual at ATL. Apron markings are very sparse with little in the way of detailed gate positions for aircraft or taxiway lines. Most of the apron space is made up of asphalt / tarmac and doesn't have the usual concrete blockwork look all over. 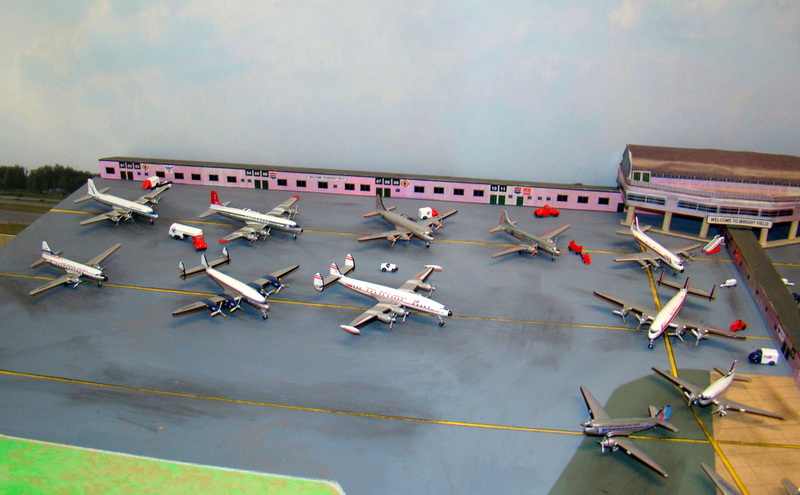 The props often park parallel to the terminal piers whilst many gates don't seem to have standard parking positions. Starting my design I decided to incorporate a single L shaped pier similar to the Delta pier ATL had in the late 50s. 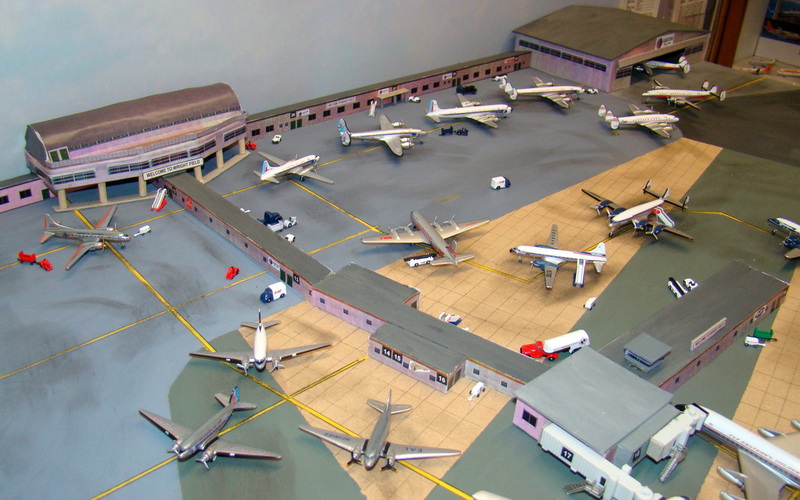 Additionally I wanted to keep the multi-line parking along the terminal front, though I'd have to straighten the terminal itself to fit. I also decided to add a space for a hangar, which is a bit of a departure from the original ATL layout where the hangars were elsewhere. 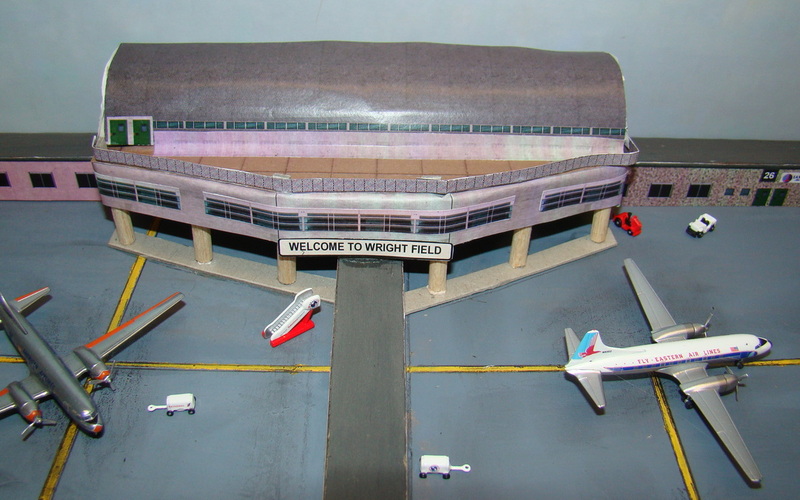 Lastly there are two airbridged gates on the pier which have a similar style to the bolted on Delta DC-8 gates added to the Atlanta Airport in 1959. 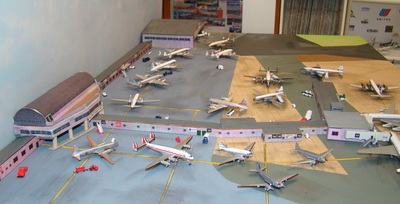 In total there are 29 gates and the hangar area. 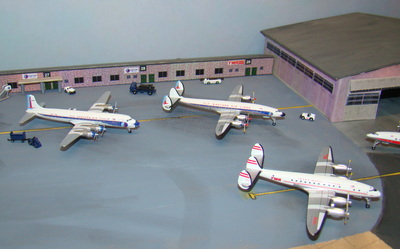 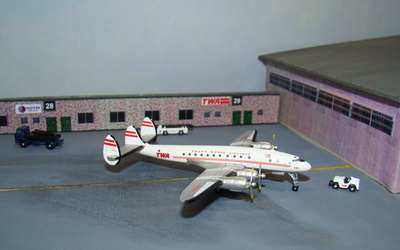 The hangar can accommodate two large propliners (DC-6s or L-1049s).